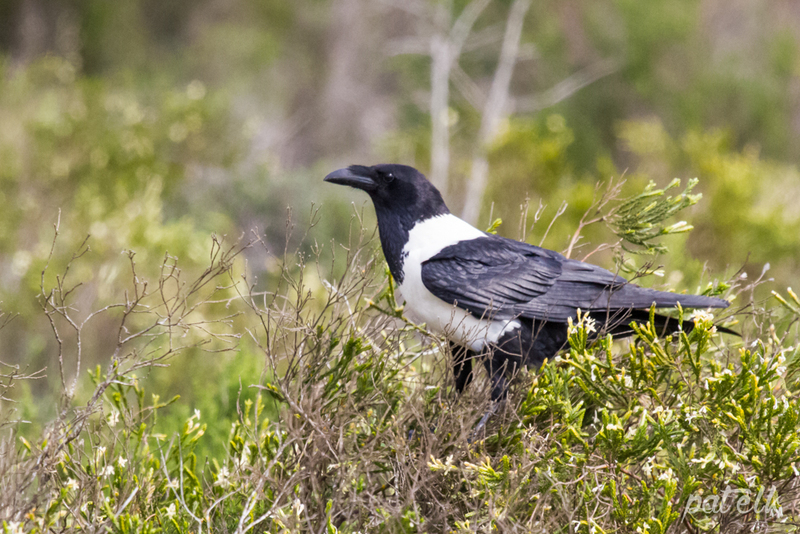 The Pied Crow (Afrikaans name Witborskraai, Zulu name uGwabayi has become widespread throughout the region excepting for the drier desert areas. 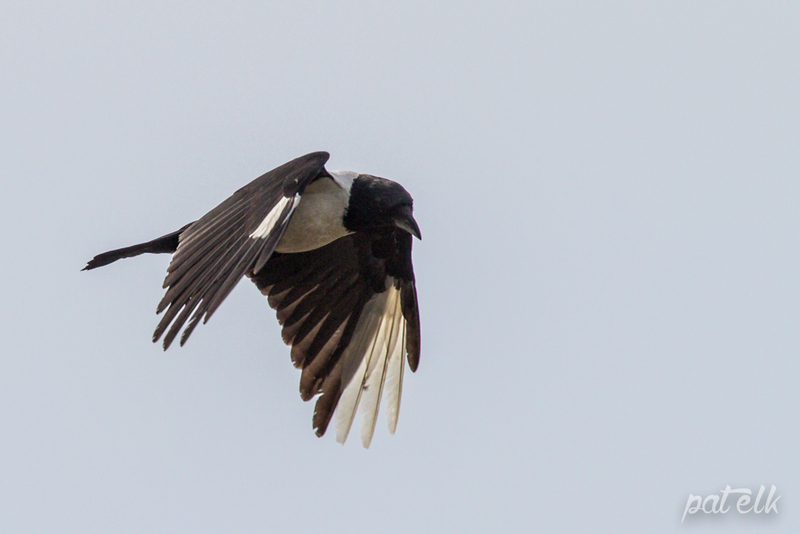 They are loud and raucous often seen in flocks. They feed on small birds and reptiles and are often seen at roadkills.